Many new babies suffer from a dry scalp, so its important to use a shampoo that helps protect the scalp whilst gently cleansing hair. 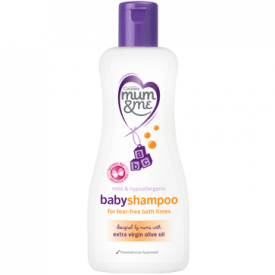 Our Ultra Mild Baby Shampoo is kind to eyes and contains Extra Virgin Olive Oil, known to help relieve cradle cap, leaving your babies hair clean and beautifully soft. Aqua, Polysorbate 20, Sodium Laureth Sulfate, PEG-150 Distearate, Glycerin, Lauryl Betaine, Sodium Chloride, Sodium Cocoamphoacetate, Disodium Cocoamphodiacetate, Phenoxyethanol, PPG-2 Hydroxyethyl Cocamide, Parfum, Sodium Gluconate, Polyquaternium-10, Citric Acid, Methylisothiazolinone, Olea Europaea (Olive) Fruit Oil. 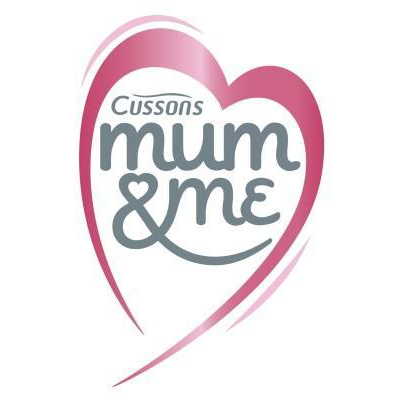 i use a lot of the Mum and Me products with my daughter and they are very lovely, lightly scented. This shampoo perfectly cleans her hair and not leaves a lot of fragrance after it had been used.